جمیله خرازی "همیشه در کنار شما خواهم بود "
خانم جمیله خرازی به عنوان یک هنرمند و کارآفرین شناخته شده است .وی به محض اینکه در فعالیتهای خود به موفقیت دست یافت ،یاری رسانی به دیگران را آغاز نمود و سابقه ای کامل در زمینه های بشردوستانه برای خود به ارمغان آورد. وی با همکاری دانشگاه هاروارد ،به آموزش در لبنان کمکهای شایانی نمود و کنار AFUAF به یتیمان در افغانستان و افریقا کمک کرده است. خانم جمیله خرازی تمامی این فعالیتها را در حالی انجام داد ،که همزمان در حال تلاش برای تقویت فرهنگ و هنر ایرانی بود. اشتیاق زیاد وی برای کمک به بانوان و کودکان باعث فعالیتهای خیرخواهانه وی شده است. Jamileh Kharrazi made her name as an artist and entrepreneur. Once she found her success, however, she felt she had to give back. Her philanthropic resume is lengthy. She has served with Harvard to aid education in Lebanon, helped with the American University in Afghanistan and contributed to orphans in Africa. She has done this all while running a foundation for Iranian Art and Culture. She is motivated by a deep desire to help women and children. The places she wants to aid have had these folks pushed to the margins. Afghanistan has seen conflict and death these past few years. In August 2016, they were hit with a deadly terrorist attack. The attack prompted reform. Security was strengthened. But in March 2017, the school reopened. The reason they were hit has to do with their western ideals. The school teaches both men and women together in a liberal arts model. The school teaches teaches tech, business and law. This year, Ms. Kharrazi helped promote a fundraiser for the university. Held in Washington D.C., the event featured representatives from several states as well as The Unites States Army General David H. Petraeus. Another venture for Ms. Kharrazi has been her support of orphans in Africa. In Uganda, she has worked to support an orphanage called St. Peter's. The orphanage has around 35 children, many of whom may be living on the street if not for their new home. The orphanage now is leasing a home in Fort Portal. At this point, they also have teachers on staff to help the children learn. Pictures of smiling kids swim over their facebook page. Success! The middle east is a hotbed of different conflicts. These push people to new places and new situations. 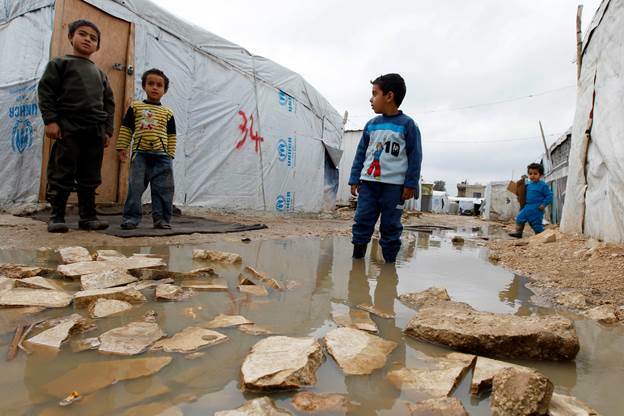 The war in Syria has displaced millions of refugees, many of whom went to Lebanon. This is the most dire situation there. Lady Kharrazi has worked to promote education in the area. She works through a Harvard Fellowship and a position she holds called "Ambassador" to the middle east. From that position, she can aid education in the country. She also has targeted women's rights, which she considers to be of utmost importance. The emphasis on education is one important way to address the problem there. Having more educated people will help folks become aware of the serious issues facing the country. From their own discipline, they can work to find solutions. Together, Jamileh Kharrazi believes in cooperation between nations and people to aid those displaced by conflict and empower women.